Turnovers forced by the WSU defense after forcing only eight in 2014. New defensive coordinator Alex Grinch emphasized takeaways in his first season and the Cougars tripled their previous season total. 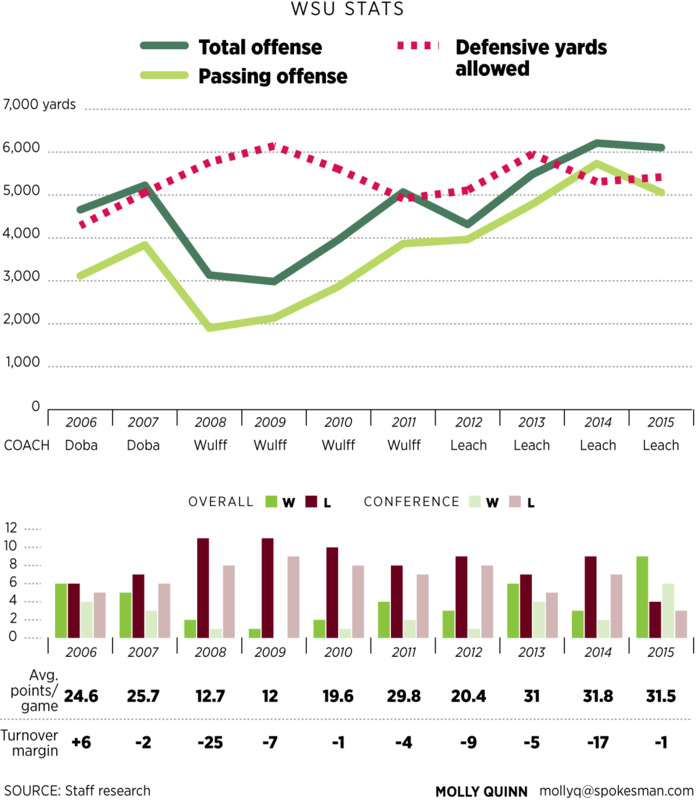 Points allowed per game by the WSU defense, which gave up 35.0 in 2014. The WSU defense came up big when the offense struggled in wins over Wyoming, Colorado and Miami. Returning starters off last year’s 9-4 team. The Cougars are finally an experienced team, with Luke Falk, Gabe Marks, Cole Madison, Shalom Luani, Riley Sorenson and Hercules Mata’afa all coming back after earning All-Conference honors in 2015. Home games to be played in Martin Stadium, the most since 1999. The Cougars will play many of their most difficult games – against teams like Oregon, UCLA and Washington – in front of their home fans.